A river is a large, flowing body of water. Rivers begin in high areas such as mountains. They flow into other rivers or into the sea. 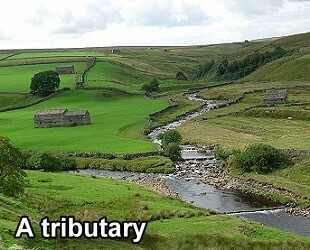 A tributary is a river that flows into a larger river. 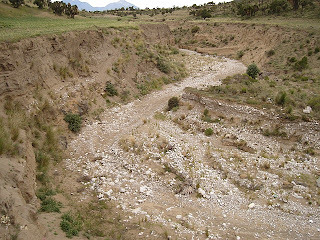 A river bed is the ground over which a river flows. Some rivers have more water than others. The volume of water ina river is called the flow. A tributary. Photo from Rivers Homework Help.